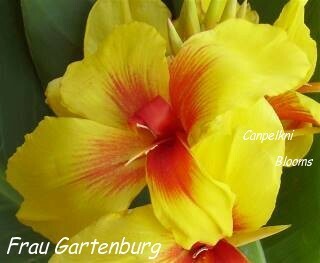 Canna Frau Gartenburg is an outstanding heritage yellow and red bicolor canna that dates back to the early 1900s. From yellow buds it open to show off its sunny yellow flowers that bleed red from the center of the flower, the bleeding of color give a striped looking effect. 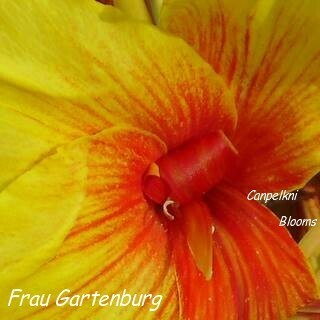 Frau Gartenburgs stamen is always red and often displays itself tightly curled. Just how much red is shown depends, during the cooler months I’ve noticed the flowers are slightly smaller and there is less bleeding, whilst in the heat of summer the flowers really open themselves up wide and the red markings are more prominent often to the point of almost completely covering the labellum. In the picture above the bleeding looks more like stripes on the flower. 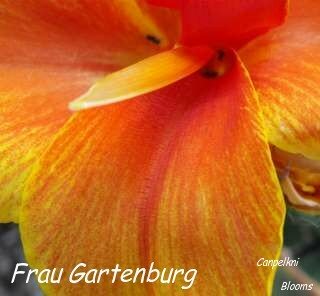 Frau Gartenburg is dazzling with such tropical looking flowers that are easily seen and catch the eye in the garden. 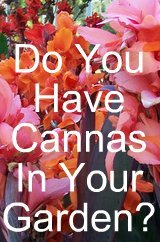 This cannas foliage is green with a clear coloured leaf margin. 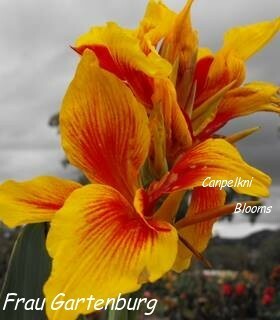 It is a medium growing plant reaching up to 1.6 meters tall in the garden when in flower. 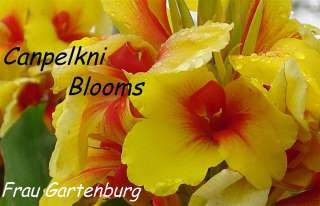 Frau Gartenburg is fertile and it also sets an ample amount of seeds. they are Garton Baudie and Frau Gattenburg - spelt with an extra T and without the R.